Using 36 Volt generator/alternator to charge house betteries? I am installing solar and upgraded house batteries in my RV. I will have a 24v - 370A/H battery bank and need backup charging for times when solar production is not adequate. I have come across a diesel 36v generator. Basically a small diesel motor with a 36 volt alternator. What I am considering is using the 36 VDC generator to feed a 40A MPPT charge controller to charge my 24v battery bank. My RV is diesel and I don't want to have to carry gasoline. Otherwise I would buy a little Honda inverter generator. What do you all think of this plan? Suggestions? you might a 24V truck Voltage regulator to fit onto it. Otherwise you are looking at some real kludges to "maybe" get it to work with a MPPT controller. 2.2wh / 36V = 60A alternator, and still 60A (because that's all the internal wires can handle) downgraded to 24V. Many vehicle alternators have a voltage regulator that is not capable of generating a stable DC voltage. 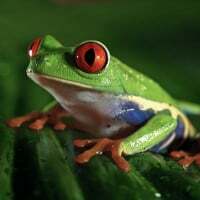 For example car alternator systems can generate 100 VDC or more if the car is still doing and then the battery is disconnected (and wipe out the lights and electronics on the DC battery but). Although, there are DC generator sets that are perfectly capable of generating a stable DC output voltage (running DC equipment directly without batteries). See if you can find documentation on this unit and see if it gives stable 36 VDC. And / or start it up and measure the output voltage (use 3x 12 volt filament bulbs in series for a cheap 36 volt load). If stable then connecting a good mppt charge controller should be fine. I am waiting on documentation from the manufacturer. I am hoping that I may be able to use one of the Balmar multistage regulators with this alternator. But I am pretty much on hold until I get docs from the manufacturer. I have been waiting patiently for documentation. The gent that I spoke with at Mechron seemed very agreeable to sending it. Now he has gone silent. Anyone here recognize the alternator on this unit? Maybe I can find docs on the alternator from the OEM? Fire it up with some lights or electric heater as loads (don't care loads that could, in theory, get called). Put a meter on the DC bus and see if there voltage is stable with resistive load, and with no loads. I am guessing that its output voltage will be stable (i.e., a good DC supply without batteries as buffer). 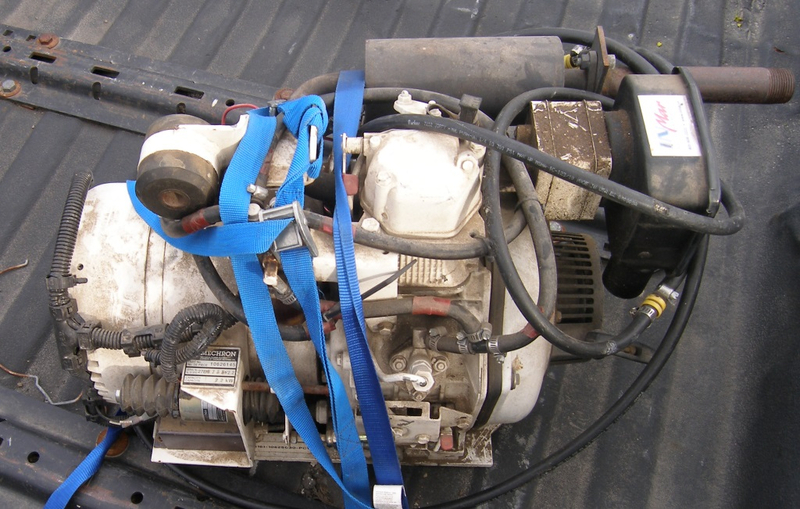 Running without loads should not cause any damage to the alternator (don't rev the engine. That could raise DC voltage and damage rectifiers or regulators if was designed for battery charging only). I want to confirm whether it is 24 or 36 volt before I put power to the starter. The gent that I bought it from told me that it was 36v. I am beginning to suspect that he was mistaken and it really is 24v. 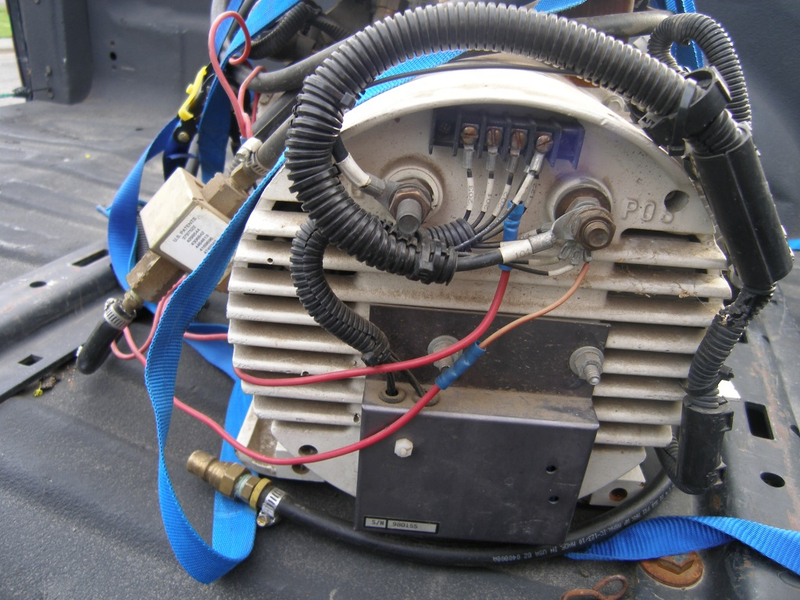 The photos I could find show a switch gear box on the back of the genset--With, I pressume, Voltage/Amperage/Frequency (if AC) meters. 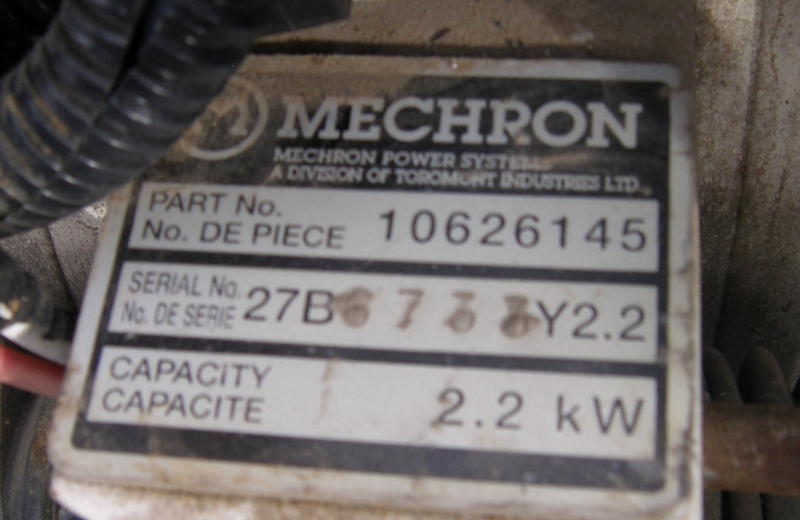 Search for "Mechron Power Systems Mdl ASB 2D/DND7" on DuckDuckGo or Google and see if you can find anymore supporting documentation (I got "here" by searching for "Mechron 27B diesel generator" guessing that "27B" was some sort of model number). You will likely need a MPPT controller with water turbine or wind turbine curves. Wound generators do not act like solar panels when the MPPT system starts to seek the sweet spot, and you can burn out the windings.